And, in many countries, from CRC Press online. Stata 12 was released in Summer 2011. The Revised Edition programs (downloadable from http://www.stata-press.com/data/musr.html) were written for Stata Version 11. - in mus09p1panlin2.do the command xtrc lwage exp wks, i(id) does not run and needs to be commented out. The purpose of the revised edition is solely to update the original edition to present those new Stata 11 commands that make it easier to implement some of the methods given in the original edition. Instead of using mfx and the user-written margeff commands, the revised edition uses the new margins command, emphasizing both marginal effects at the means and average marginal effects. Factor variables, which allow you to specify indicator variables and interaction effects, replace the xi command. The new gmm command for generalized method of moments and nonlinear instrumental-variables estimation is presented, along with several examples. Finally, the chapter on maximum likelihood estimation incorporates enhancements made to ml in Stata 11. All programs and data used in the revised edition can be very easily downloaded and run: click here. 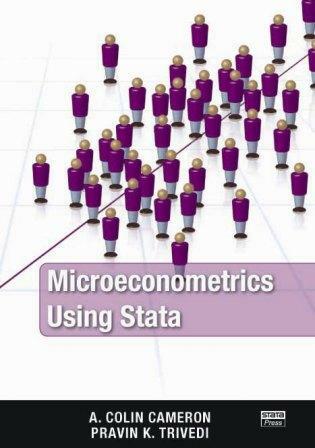 This book written for Stata version 10.1 explains how to perform modern regression analysis of cross-section and panel data using the computer package Stata. The main audience is graduate students and researchers in economics and related social sciences such as political science and sociology. For them this book can be used as an adjunct to graduate-level texts such as Cameron and Trivedi (2005), Greene (2008) or Wooldridge (2002). 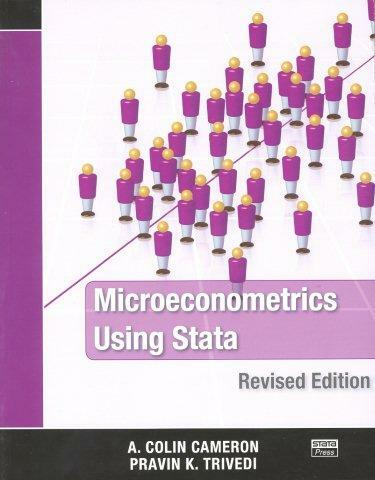 At the same time, the book can also be used in an undergraduate econometrics class, as a complement to an appropriate undergraduate-level text. It includes introductions to topics such as OLS, IV regression, fixed and random effects panel data models, and logit and probit models.